Though not positioned as such, the Altair Aerial Tomahawk drone could be seen as a direct upgrade to their previous drone – the Blackhawk. This vehicle controls better than any Altair model before it and handles well even in strong winds. Plus, the included camera is easy to use and takes great footage. 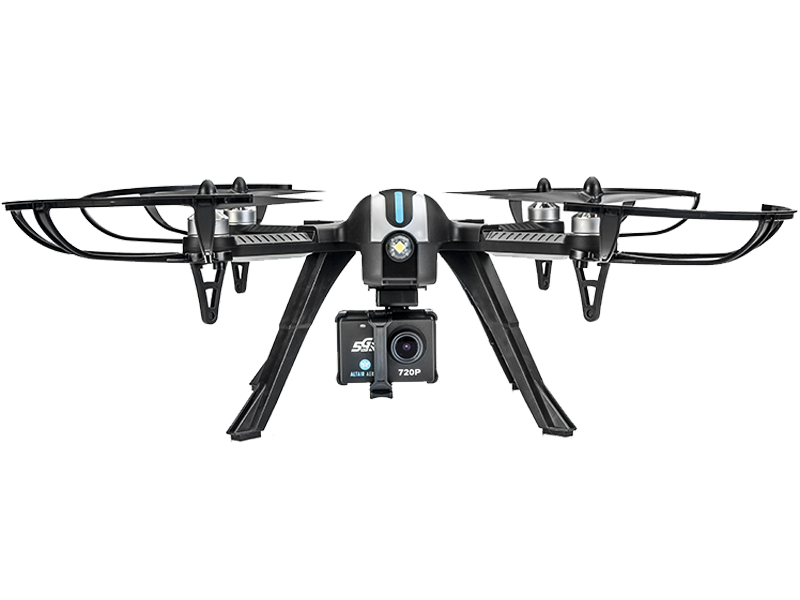 A sure winner for beginner and intermediate fliers looking for a great cheap camera drone. See the best price for the Tomahawk on Amazon USA, or Canada, UK, Australia & Other International Shoppers click here, see their International Shipping rates here. At this point, you’re almost certainly familiar with Altair Aerial, the Nebraska-based drone startup that released three new quadcopters last year and immediately established itself as a manufacturer to watch. Though they cater largely to a beginner and hobbyist audience, their drones are benchmarks of durability and quality that seem to get better with every new release. There’s the AA108, quite possibly the best first-time flier drone on the market. Then the Hornet, a slightly more expensive model geared towards amateur aerial photographers. Finally, we had the aforementioned Blackhawk – a more advanced drone that sacrificed high-end features to provide great long-range flight capabilities at an insanely low price. Now Altair is releasing its first drone of 2018 – the Tomahawk. It’s an appropriate name for a company that’s still based in the heartland of the United States, but when we picked up our advance copy last week I wasn’t sure that it would be anything more than a Blackhawk with a camera. I was dead wrong – here’s why the Tomahawk is far and away the best and most essential Altair drone yet. One of the biggest (and still relatively minor) complaints I have with the Tomahawk is something that will become apparent as soon as you open the box – lots of assembly required. This was also true of the Blackhawk, but the new drone has more pieces and requires you to set up, attach, and calibrate a camera as well as the transmitter. It’s not as bad as it sounds – all told it only took me 27 minutes to get everything put together. Your mileage may vary, obviously, but that’s still not a bad amount of time for a drone with this many features. As far as controller setup, there’s all the trim buttons and adjustments available that you could ever possibly want, but everything worked well for me right out of the box. More serious drone enthusiasts might want to configure the settings to match their exact preferences, but beginners and hobbyists should have no trouble picking up the controls as-is once they’ve read through the manual. The manual itself is written in clear, easy-to-read plain English, which is something Altair’s always been pretty good at. Video versions of the instructions given in the manual can also be found at AltairAerial.com – this is something they started doing after the release of the Blackhawk which I highly recommend first-time fliers take advantage of. If you want to take photos or video using the C5000 camera, you’ll need to download an app and do a little bit of setup on your phone. The process is exactly the same as it is for Altair’s other WiFi drones, so I didn’t have any trouble going through it again for the new app. One great feature of the new camera: no TF flash card is required to take video. You can still use one if you want, but the app can also store videos and photos directly onto your phone if you have the storage space, which I found much more convenient. The battery takes about 5 hours to charge, which is unfortunate, but considering the amount of flight time you’re getting it’s well worth the wait. 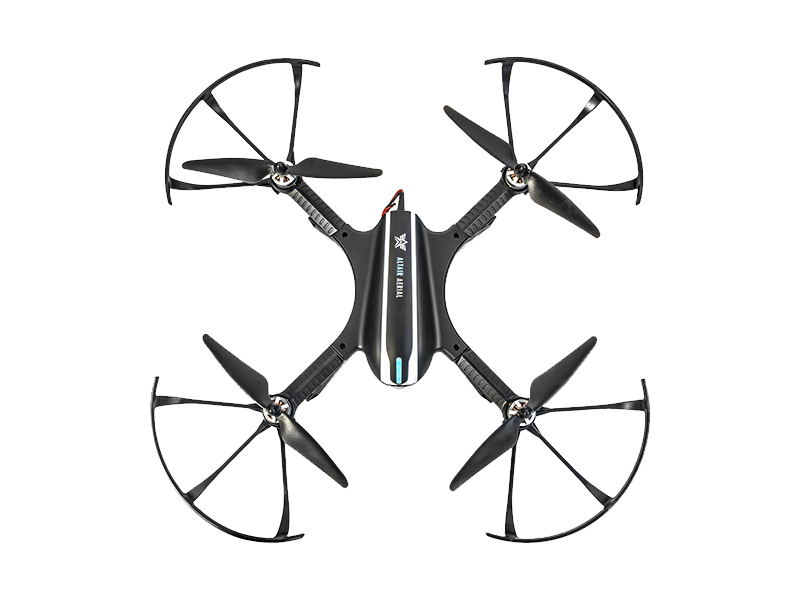 The Tomahawk combines all the best features of Altair’s previous drones into a single package, making it an absolute joy to fly. Like the Blackhawk, it’s very fast (due to powerful brushless motors), has a long range (300 meters), and can fly for a long time. My own experiences put the flight time at around 17 minutes, which is 2 minutes longer than any previous Altair Aerial drone. However, unlike the Blackhawk, the Tomahawk retains the high-tech beginner-friendly features of the AA108 and Hornet. In Professional Mode, pilots have complete control over the drone and can perform flips and rolls with the joystick. However, they also have to manage their own altitude. In the aptly-named Altitude Hold Mode, the aircraft remains steady at a consistent altitude and the pilot only has to control horizontal movement. This is the default flight mode and it makes a world of difference for beginners. One of our reviewers learned to fly on an AA108 Altair drone, and the new Tomahawk should provide a similar level of comfort for any pilot aged 14+. One thing I noticed when taking the Tomahawk out for flights is that it controls better than any non-DJI drone I’ve flown in the past. Despite the insane number of buttons on the controller, everything feels intuitive and I was soon pulling off complex maneuvers in Professional Mode with ease. The drone responds well to simple inputs and zooms at incredible speed when you hold down the throttle – it’s just overall a genuine joy to fly. This just goes to show that Altair is more than just a “beginner drone company”, even if (like JJRC before them) that’s very much where they’ve chosen to find their niche. 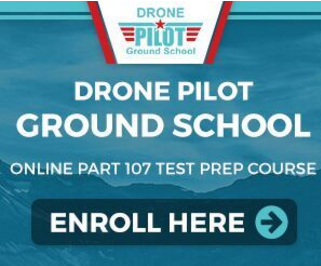 This is a company that’s dedicated to making high-quality drones for all skill levels and which puts in the work to make drones that operate incredibly well at a low price. Another new feature of the Tomahawk is a 3D flips and rolls button. This is becoming a common feature on beginner stunt drones and Altair’s implementation works well. Neither the landing gear nor the camera were shook loose when flipping, which is something you always have to watch out for. 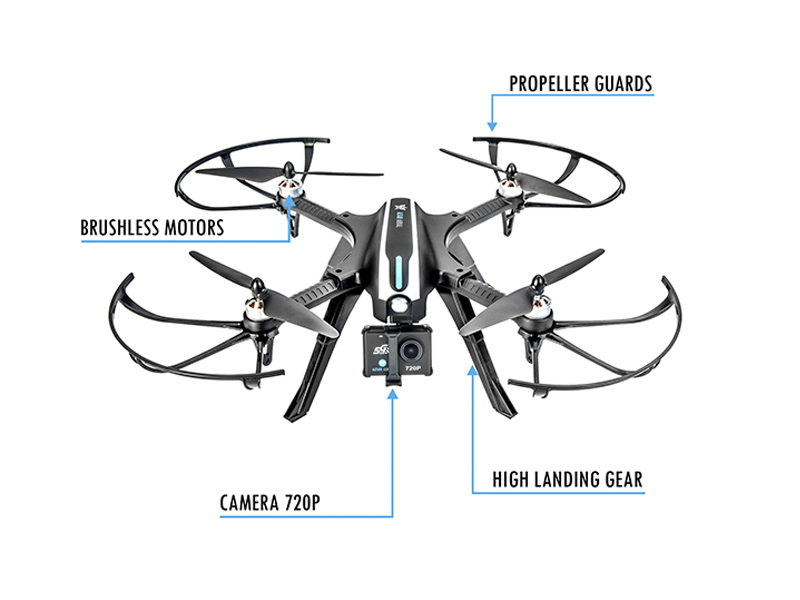 The Tomahawk comes with Altair’s C5000 Aerial Sport Camera, which takes aerial photos and videos in 720p high definition. 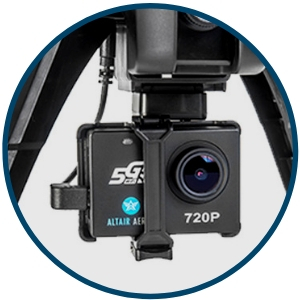 The C5000 isn’t an upgrade from Altair’s previous built-in cameras, but that’s not a bad thing – Altair drones always take good footage and the new quad is no exception. One nice feature is that the action camera mount that the C5000 hangs from can also be used for the GoPro Hero line or other action cameras of a similar size. So if you’re a serious photographer who’s moved past the 720p default, you can combine the joy of flying the Tomahawk with a superior, more expensive third-party camera. As stated above, the C5000 camera requires a smartphone and the installation of the Bugs GO app, but no longer requires the purchase of an additional TF flash card. Whenever I’m trying a drone that’s aimed at beginners, even a more advanced model such as this, I always have one crucial question: is it durable? With Altair drones I add a second question: how well does it handle in wind? The AA108 and (to a much greater extent) the Hornet were somewhat infamous for being useless in winds of over 10 miles per hour – the price of smaller, lightweight drones. The Blackhawk’s rock-hard metal body and brushless motors meant it could cut through the wind more easily, but still suffered in some weather conditions. However, in this as in all other areas, the Tomahawk is the top of the Altair product line. Skeptical of how this plastic quadcopter would perform, I took it out in winds of (according to my local weather channel) about 12 miles per hour. It behaved beautifully – though the manufacturer doesn’t recommend it (and you should always follow their advice to get the best performance out of your drone), I was still able to maintain full control over the drone. As for durability, the Tomahawk sustained two major (entirely accidental) crashes without so much as a visible scratch. Considering the similarities to the Blackhawk, I thought that the plastic propellers might have a tendency to break like they do on that drone. But the new propeller guards seem much stronger and protected the props themselves from any form of damage. In short, this is a drone that anyone should be able to buy with confidence. Even if something does go wrong, you’re backed by Altair’s reputation for great customer service (with even the CEO himself famously taking tech support calls). 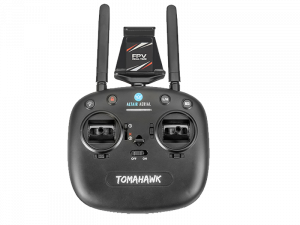 The Verdict – Should I Buy A Tomahawk Drone? Altair’s still not going to compete with high-end drones like the DJI, Yuneec, or Parrot lines. 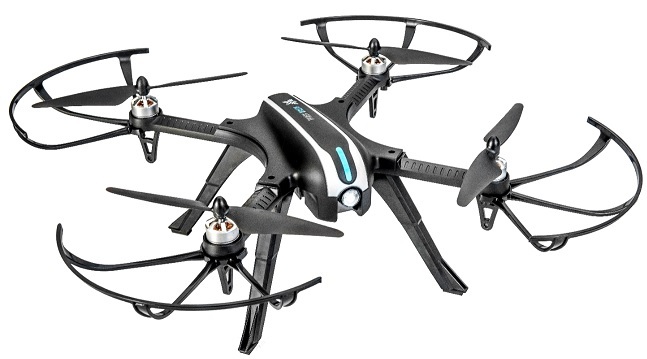 But for any hobbyist fliers looking for an all-around solid drone that’s great for beginners, advanced pilots, and everyone in-between, this is a must-buy vehicle. 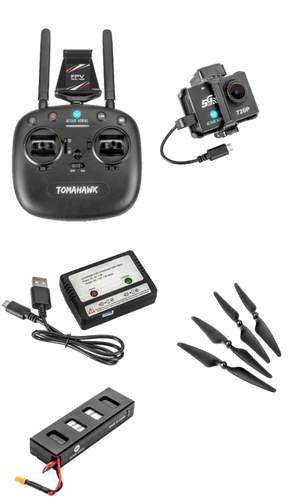 The Tomahawk combines all the strengths of the AA108, the Hornet, and the Blackhawk into a single drone that’s fast, flies far, takes great photos, lasts 17 minutes in the air, and controls better than anything the company’s put out before. Sure – there’s nitpicks. It’d be nice if the battery took less than five hours to charge. The brushless motors are pretty noisy, which might be annoying for those interested in taking serious video. And the assembly process is not the most intuitive thing in the world. But all of these quibbles fade away in the light of everything the Tomahawk does right. We knew this would be a company to watch from day one, and they’ve finally delivered on a drone that’s darn near perfect for the hobbyist crowd. If you’ve been holding off on the previous Altair drones, this new model is the place to jump in. And if you already own one of the others, well, maybe it’s time to upgrade to the latest and greatest thing. does the Tomahawk have HEADLESS mode ? I find it helpful for taking video.